HostGator is one of the leading providers of web hosting and related services on a global platform. The company was founded in October of the year 2002 by Brent Oxley. Oxley was then a student at Florida Atlantic University. By the year 2006, HostGator had successfully crossed the 200,000 mark in the number of registered domains. Basically, the concept of this company was born in a dorm room! 2007 was the year when the company transferred from the original office in Boca Raton, Florida to a new and sprawling 20,000 square foot building in Houston, Texas. It has been running successfully right from the day of its inception. According to the Inc. Magazine, HostGator ranked at number 21 in its list of fastest growing companies in the United States in 2008. The company also ranked 1 in the Houston-Sugar Land-Baytown, Texas area. In the same year, the company planned to change over to green hosting by working with Integrated Ecosystem Market Services. 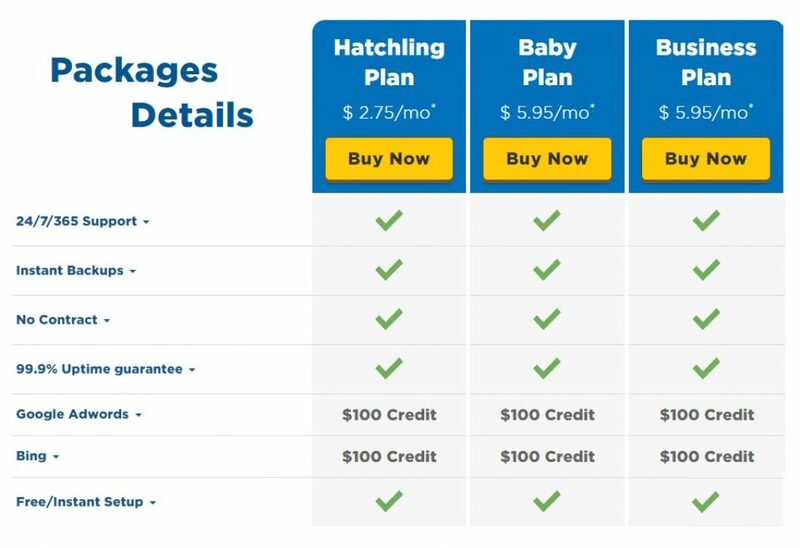 In 2008, HostGator took up a new challenge to compete with all those companies who claimed to offer unlimited plans to their customers. In the year, 2010 an office was added in Austin, Texas. In 2011, HostGator started operations in India. Its office is in Nashik, in the state of Maharashtra and a data centre. On 21 June 2012, CEO and founder Brent Oxley publicly announce selling HostGator to Endurance International Group. However, he assured the employees and user not to worry as he would still own the buildings himself. The deal was closed at $224 million. As per the data available for 2013, HostGator hosts more than 9 million domains and has a huge customer base of above 400,000 customers. Solid State Drives: The shared Business Hosting plans from HostGator are placed on an ultra-reliable Samsung SSD drive. These drives are very fast and reduce data retrieval times. This allows your content to be retrieved at times when you client demands for it. Web Hosting for Developers: With HostGator, you get a chance to build your website with the use of latest languages. These include PHP, Ruby, PERL, Python, PostgreSQL, MySQL and more. You also get the advantage of easy WordPress management. 90- Day Money Back Guarantee: If you are not satisfied with the services, then the company guarantees a money back to you within 90 working days. 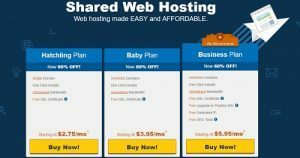 SSH hosting with command line: With the plans from HostGator, you can quickly run commands, change permissions, monitor logs, restart services, and securely manage databases on the best Shared Hosting servers. You data is also encrypted that prevents any third party user to access your sensitive and personal information. Blogs, ecommerce and more: With HostGator, you can easily install over 400 applications. 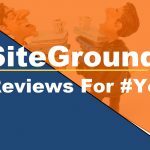 The various plans are also designed to help you keep your blog or ecommerce site up-to-date with one click, or even roll-back to a previous version. The most popular CMS platforms from HostGator include WordPress, Joomla and PrestaShop. Hosting email features: The robust email package from HostGator is compatible with all desktop clients including Outlook and Apple Mail and runs on any iPhone, Blackberry or Android device. You also get the option to block annoying SPAM using Spam Assassin – included with all Business Hosting plans for free! Web design hosting: The platform incorporates one easy to use web builder. It is fully compatible with the web’s most popular design platforms including Adobe Dreamweaver and iWeb. Other special features: You can also collaborate using diverse FTP accounts or check out your website statistics with the help of your raw log files or AWStats. All these pieces of information are easily accessible from your included license of cPanel. Let us first discuss about the pros and cons of the web hosting services by HostGator. It has plans that are available on both Linux and Windows server platforms. It uses cPanel (Linux) & Plesk (Windows) for domain management. It becomes very user friendly and easy to understand. They provide excellent customer support services. Their live chat, telephone and email services are simply outstanding. You can reach out any time if you have any queries or issues with the server. The platform provides a much improved WordPress performance with the set of new managed hosting plans. 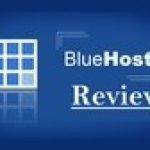 Now that we know what the benefits of this web hosting platform are, let us have a look at the disadvantages associated with the platform. We feel that the prices are a little too high and the renewal rates are more for most of the plans. The Weebly website builder is pointless and outdated and doesn’t serve a very good pupose for the customers. The WordPress Cloud plans from HostGator have no access to phpMyAdmin or cPanel. This becomes a major drawback. The various plans for popular CMS platforms do not provide any exciting additional services. The in-house domains are too expensive and lack the features for that price. There are some serious rumours that go around about the hosting site. Some people do say that they play around with your bandwidth. You need to be extra cautious about it. A lot of the things on your website will have to be done by you. In the cheap packages, you do not get enough prior information. There are various packages that would suit every need of individuals as well as business enterprises. The developer can access cPanel login from anywhere. It is easy for the developers to access to hosting technical information. Developers also get FTP access and new account setup. HostGator provides SSH access for the developers. You get a free Softaculous application installer. You also get assistance for Email creation & management. You can make the most of the email forwarding facility available from HostGator. Spam, account & user level filter setup is also provided. 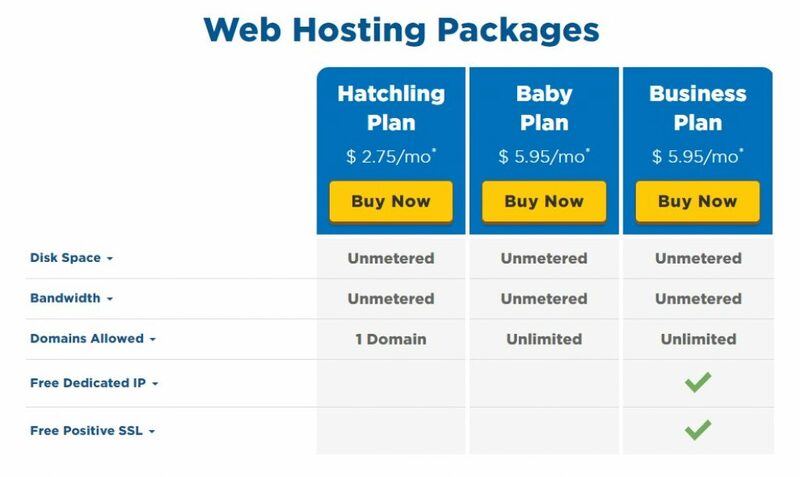 HostGator understands its responsibilities as one of the nation’s fastest growing web hosting providers. Therefore, the company is committed towards following a more eco-friendly approach towards everything and every process. Since 2010, the enterprise has put incessant efforts towards improving the carbon footprint in various data centres. The company also encourages lesser use of paper and related products and is in a venture to go completely digital. Most of the data centers in the world usually consume large amounts of energy and more than half of that energy is utilized for cooling and air conditioning. That’s why the company has come up with the concept of Green Data Center. In this process, it is cutting down the cooling costs by nearly 70% by using the advanced outside cooling technology. This also helps in cutting down the production of carbon and compounds greatly. 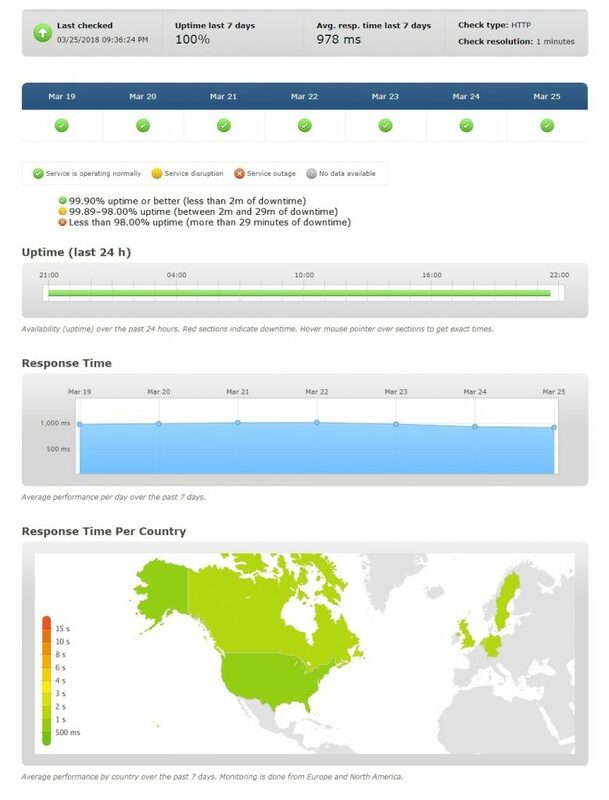 We would say, the site performs average when it comes to the Uptime test, with an average result of 99.95 percent. The best run was 100.00 %. However, it could sometimes go as low as 93.19 %. That can be really bad! When HostGator goes down, the site is unavailable for a maximum of two minutes. We believe that is absolutely okay and can be forgiven! They’re one of the only hosts who give an advance announcement of upcoming maintenance, and how long you can expect your server to be unreachable. This goes a long way in ensuring customer satisfaction and comfort.